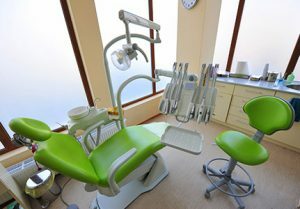 The dental industry is one that has undergone tremendous change in the last few years. There have been unprecedented developments with the technology, materials and procedures available to our clinical staff. Our team is committed to ensuring our adherence to the highest standard of care by pursuing advanced training and education opportunities, using only the highest quality materials and collaborating with dental laboratories with a similar pursuit of excellence in their own field. This endeavor to achieve the best in dental health often allows us to restore your teeth back to their natural function and beauty. Our decisions within the operatory cannot be financially driven. Professional responsibility dictates that patient care be the only driving force for decisions taken by your Trillum dentists. Although we will aggressively pursue all measures at our disposal to ensure the best possible insurance coverage, we cannot ethically suggest treatment of our patients with a less than optimal quality of care. We are a fee-for-service practice. We accept Visa, MasterCard, American Express, Debit Card and Cash. We will act on your behalf and provide your insurance company with all of the necessary information to ensure that you receive the coverage to which you are entitled. With Electronic Claim Processing, you will often receive a cheque from your insurance company within three to five business days. Most insurance companies allow for direct deposit as well, further expediting your reimbursement. For you convenience, we partner with Medicard financing. Through Medicard, you can pay for more extensive treatments through a variety of convenient payment plans.